Sodium chloride, better known as salt, is vital for the organism, and the kidneys play a crucial role in the regulation of sodium balance. However, the underlying mechanisms of sodium balance are not yet completely understood. Researchers of the Max Delbr-ck Center for Molecular Medicine (MDC) Berlin-Buch, Charit- - Universit-tsmedizin Berlin and the University of Kiel have now deciphered the function of a gene in the kidney and have thus gained new insights into this complex regulation process (PNAS Early Edition, doi/10.1073/pnas.1203834109). In humans, the kidneys filter around 1700 liters of blood every day, of which 180 liters are collected as primary urine and ultimately one to two liters of urine are excreted. The kidneys thus wash toxic waste products out of the body, but retain some useful substances and reintroduce them into the body, thus simultaneously regulating the salt and water balance. They say it takes a village to raise a child, but in the case of 11-year-old Ethan Hoffman, it takes dozens of medications, a team of caregivers, 2 loving parents and a very special pediatrician. Diagnosed with Bartter syndrome, an incurable kidney disorder, at age 4, Ethan’s life had been filled with questions, tests and medications since birth. For years, Ethan’s symptoms were attributed to common childhood issues until a visit with Dr. K. Gurumurthy (Dr. Guru), now a Warren Akron Children’s Hospital Pediatrics physician, revealed a life-changing condition. On February 18th there will be a seminar in Columbus, Ohio benefiting rare diseases. EthansCure and the Bartter Syndrome Foundation will be speaking on behalf of barter syndrome. 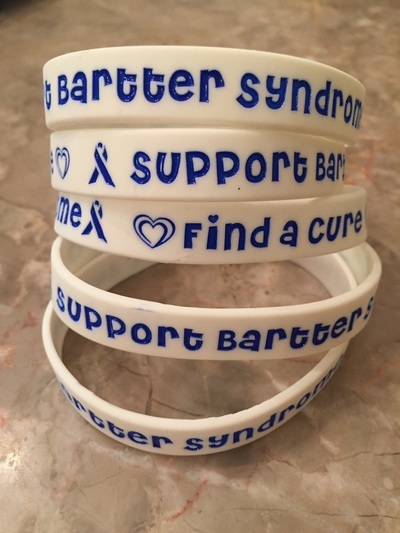 We will be introducing barter syndrome and raising awareness into this rare disorder. 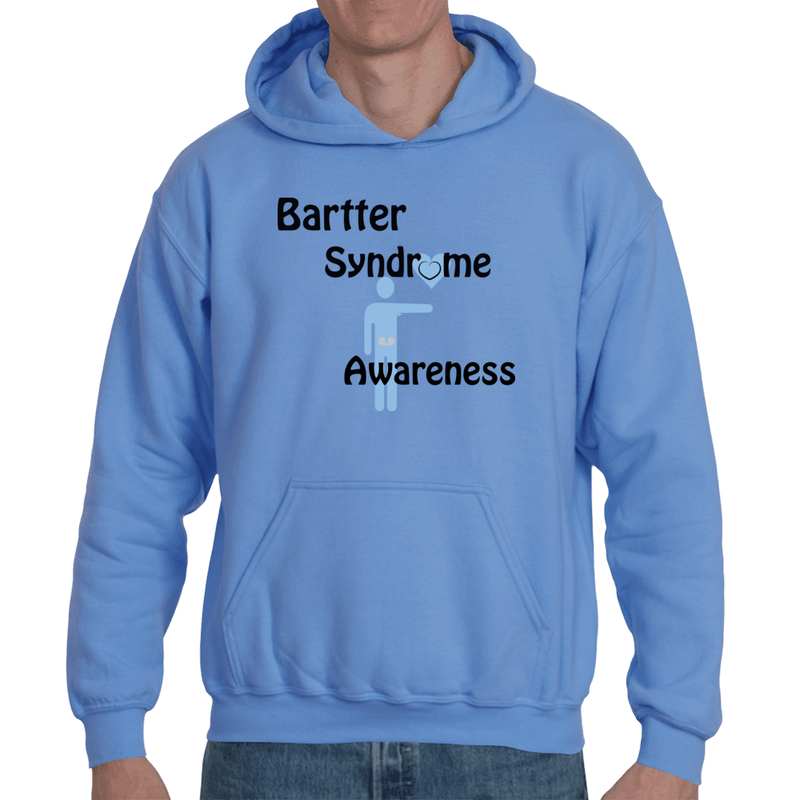 If you are asking yourself, "How can I be involved, how can help raise awareness for barter syndrome?" You are in luck, please copy and print the above image displaying both the Rare Disease Logo along with Support for Bartter Syndrome. After printing, please post your family holding the above photograph and post on the Timeline at the Bartter Syndrome Foundation's Facebook Page. By telling your story and sharing your photo, you will help others to know what it is like to live with barter syndrome. Please share with ALL friends on Facebook to accelerate educating the general public on this rare disorder. At first glance, Ethan Hoffman looks like any average 11-year-old boy. But over the past decade, the Howland boy’s journey through childhood has been filled with challenges and hope. Ethan has a rare disorder known as Bartter Syndrome. It’s a disease that affects the kidneys. After four years of trying to figure out what was wrong with their son, Ethan’s parents, Lilia and Daniel Hoffman, were shocked by the diagnosis and decided to take action.